Happy Christmas to all WCA students and your families. It really has been a great year here at WCA, lots of progress made individually and collectively, so thank you everyone for all of your efforts and have a great Christmas. Just a reminder…. 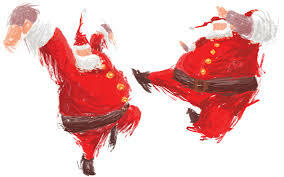 the last lesson is on Monday 22nd December, we return on Saturday 3rd January in the Haywards Heath and Lindfield area. Horsham classes resume on the 6th. Due to the hall being renovated, we aren’t starting up again until the 15th January in East Preston. Next Next post: So, why should I make martial arts part of my new year’s resolution?